For Whom Intended Engineers, aides and technicians. Some background in electronics is helpful but is not essential. The course will be tailored to student objectives. Objectives To provide a basic understanding of electrical measurement systems. To alert the students to the many varieties of meters, 'scopes and transducers available, their operating principles, strengths and weaknesses. To give students enough applications information that they can select optimum meters, transducer, amplifier, recording and readout devices to assemble a system for routine measurements of electrical phenomena. Brief Course Description Mainly lectures, supported by slides, transparencies, videotapes and sample hardware. Students are expected to participate in classroom discussions, as well as read text materials and class notes. Course 164 presents basic information on selection, application, calibration and usage of modern measurement systems to measure electrical phenomena. The course emphasizes a non-mathematical approach to understanding concepts and mechanisms. A variety of measurands and device types is covered, as well as signal conditioning, recording and analysis. Participants are encouraged to bring a specific measurement problem to class for use as a case study. The instructor will introduce one or more student problems (and/or a preselected case) on the first day. Each day's course material will further develop the case study. A solution will be given at the end. Diploma Programs This course is required for TTi’s Data Acquisition & Analysis Specialist (DAS), Electrical Telecommunications Specialist (ETS), In­stru­mentation Test Specialist (ITS), and Metro­logy/Cali­bration Specialist (MCS) diploma pro­grams. It may be used as an optional course for any other TTi Diploma program. Related Courses Course 163, Instrumentation for Test and Measurement covers some of the same material, with more emphasis on dynamics. Course 166/164 contains much of course 164, with added material from course 166, Applied Measurements. Both are available as OnDemand Complete Internet courses. 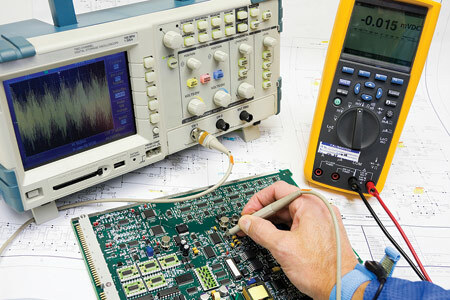 Prerequisites There are no definite prerequisites, but participation in TTi’s course Electronics for Non-Electronic Engineers or the equivalent would be helpful.